Pat Cheek had a career day for a high schooler in this May 1985 game. Cheek collected three hits, seven RBI, including a three-run home run to lead his Mira Mesa team to a 17-4 win, according to The Los Angeles Times. Cheek went on from Mira Mesa to play in college and in the pros. His pro career lasted two seasons. He made it to short-season Batavia, but no higher. 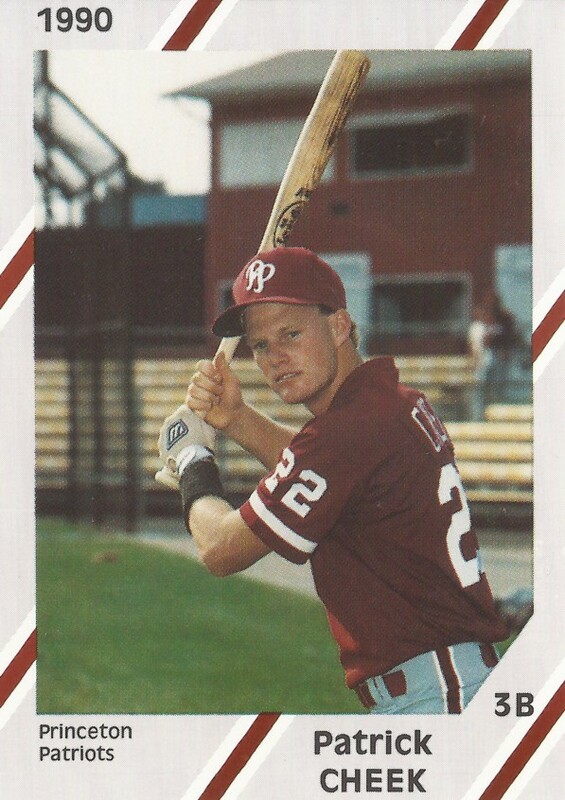 Cheek's pro career began in 1990, taken by the Phillies in the 46th round of the draft out of U.S. International University in California. He's also credited by his formal name, Patrick Cheek. At Mira Misa, Cheek picked up three RBI in a one-run early-May 1986 win and another three hits in a mid-May 1986 victory. A late single in another game that month provided the game-winner. Cheek moved to U.S. International and continued his hitting. In March 1990, Cheek extended a hitting streak to 16 games in a loss. Cheek started with the Phillies at rookie Princeton. The infielder got into 62 games and hit .235. He broke up an early no-hitter in an August game with a single. He later scored. Cheek moved to Batavia for 1991. He got into 55 games and hit. 212, with four home runs and 24 RBI. His second pro season also marked his last.